In Windows 10, you can have either a Microsoft account and/or a local account. Changing your password is the same for either type of account. However changing your account name is not. If you use a local account you can change your account name locally. If you’re using a Microsoft account, you’ll have to login to your Microsoft account online to change it. One benefit of using a Microsoft account is if you lose your password you can re-set it online by filling out a couple of forms. When you set up your Microsoft account in the first place you had to give your cell phone number or alternate email address and provide some other information only you would know. Microsoft uses this info to verify your information and then to re-set your Microsoft account password. Click on “Change your account name”. When you click on “Manage my Microsoft account”, your Microsoft Account web page will open in your default browser. You’ll need to sign in. 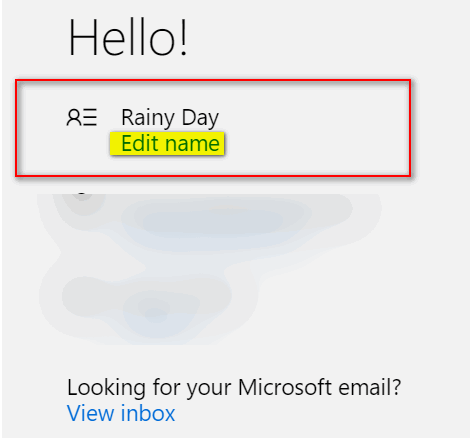 After you you sign in you’ll be able to change your Microsoft account user name there. Click on Sign-in options on the left side. Click the Change button under Password to change your password. 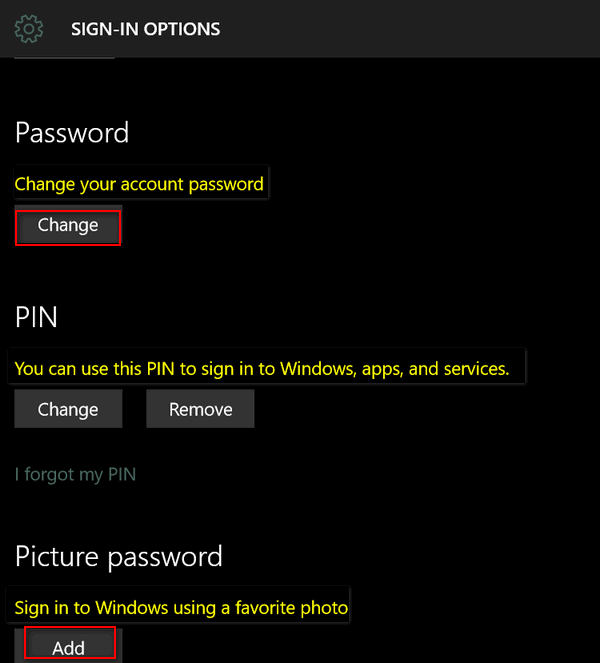 Even if you are using a Microsoft account, you can change the password from here. If you don’t want to type a password, a PIN is a good alternative. A four digit PIN is easy to remember, but still protects your computer. If you don’t have a PIN set up, you’ll see an “Add” button under “PIN”. Click it and enter any 4 digit number. Once you add a PIN you’ll be able to log without a password, by typing your PIN. If you already have a PIN set up, you can either change it or remove it from here. You can also choose a favorite picture and use it to sign in. That option is available here too. To change the computer name in Windows 10. 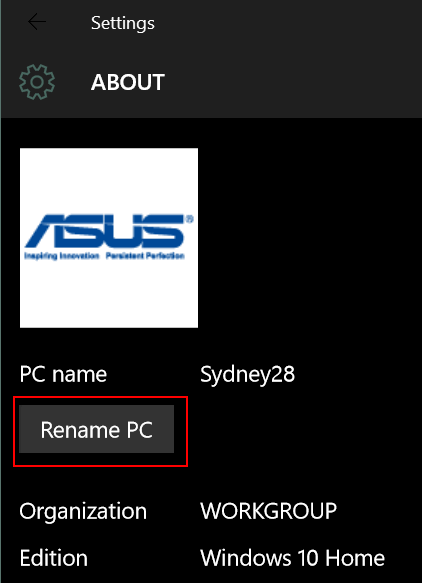 Click on the “Rename PC” button, and type in the new name you want to give your computer. You’ll get a notice that you must restart your computer for the change to take effect. Restart your computer and your computer has a brand new name. DO NOT NAME YOUR PC “EB”. Why would you do that to your computer? I’d rather not use a password at all! I’m the only one who uses my laptop, so why do I need to enter a password or PIN number? I’d like to get rid of that screen all together! I rarely use computer but since I downloaded free windows 10, I am at a loss. When I started my computer, there is no menu in the corner only a navigator basic menu. In the middle of the screen it asks for my password. I type in my old one and the computer states that I am offline and to enter previous password. It won’t accept my password and there is no where to click to reset the password. HELP! If you don’t remember your password and you don’t have a password reset disk, your choices are limited. If you were using a Microsoft account (i.e. @hotmail.com, @msn.com, @live.com, @outlook.com). you can reset your password online from any internet connected device.